We were watching our favorite Kylie Kwong show last night where she was covering Sichuan province in China. The episode reminded me of the wonderful different ways one of our friends Mark used to utilise Schezwan peppers – he often used to bring his knife set and ingredients and cook one of two of his signature dishes for his friends and none of our parties were complete without his amazing roast pork with honey and schezwan peppers, the mere memory of those good ol’ times makes my mouth water. It also reminded me of my stock of schezwan peppers that I had taken to Delhi when I lived there, and I wondered whether the packers and movers had packed it while moving back my stuff to Kolkata. Ransacked my kitchen shelves and sure enough there it was, hidden inside an inconspicuous packet, a handful or two of the gorgeous spice. Ah the joys of kitchen excavations. For some strange reason, we were inclined to have veg today, and it didn’t matter since the menu was Chinese. 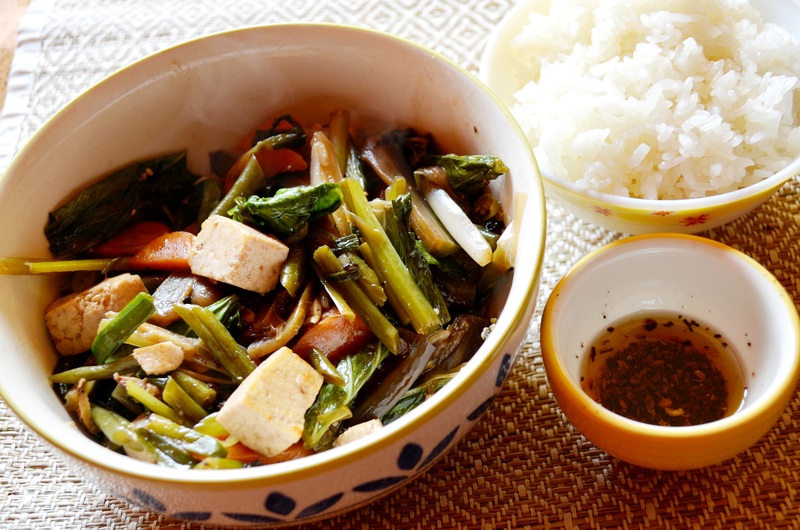 (Usually bongs in general and we in particular have a slight mental block against a meal without any form of meat). 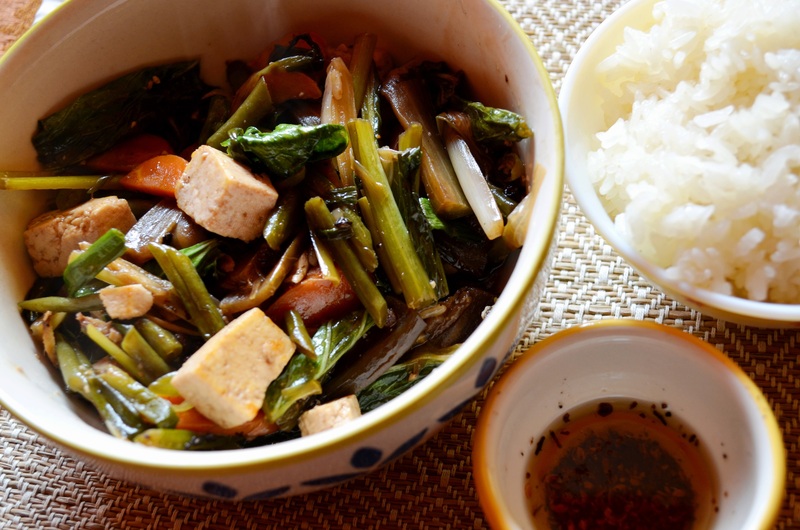 So stir-fried veggies it was, to be accompanied with our favorite sticky rice and the quintessential Schezwan dip. 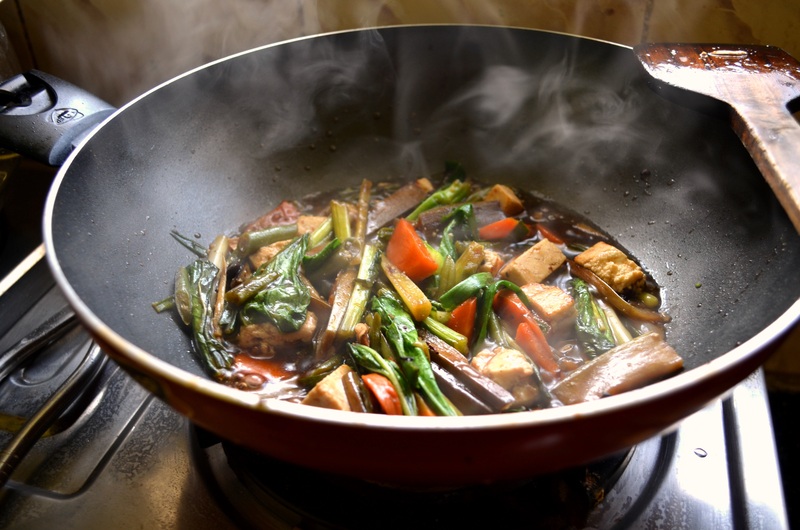 Heat oil in a wok and add half of the sliced ginger and the cubed paneer. 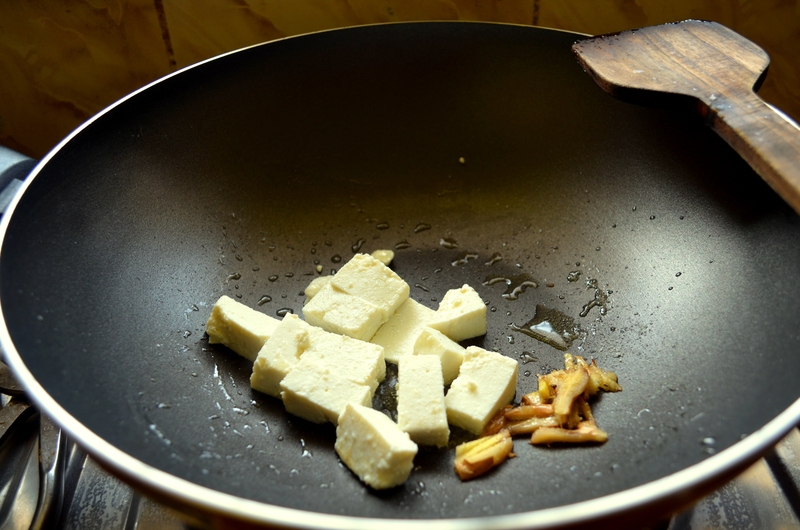 Remove slightly browned paneer with slotted spoon. Blanch the carrots and french beans. 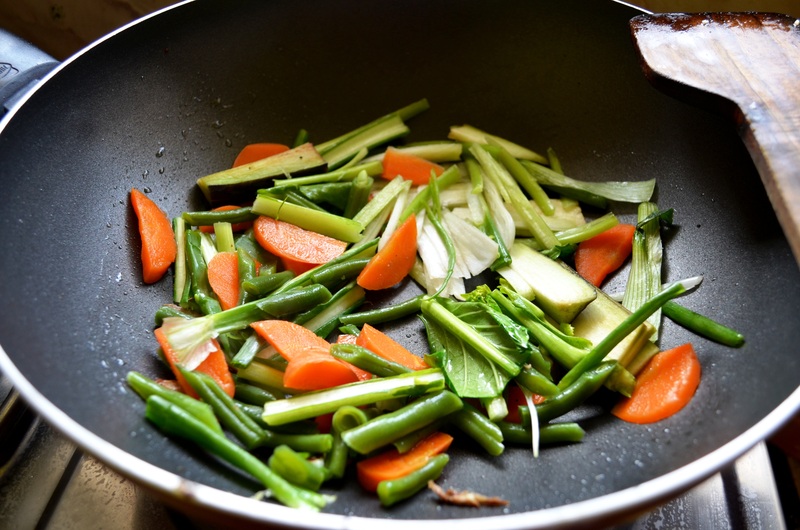 Braise the vegetables in the sauce till cooked to desired softness. Like I said earlier, I served it with sticky rice and a schezwan dip. I ground together a tsp of schezwan peppers and salt and added some toasted sesame oil to it. I soak the rice in water for about an hour (although 20-30 mins is sufficient) and steamed it in a perforated metal colander for 20 mins, turning it once the rice appeared translucent.